Graham 2 is a pre-professional dance company drawn from the most advanced students of the Martha Graham School. Its mission is to bring the Graham tradition to younger audiences, smaller venues, and to cultural communities, and to be a springboard for young dancers to enter the professional dance world. Dancers are selected from among the hundreds of students from around the world who study at the Martha Graham School. While in Graham 2, dancers are supported by a scholarship, receive stipends for performances and may be given the opportunity to perform with the Martha Graham Dance Company. Seventy percent of the current Company began as members of Graham 2. Under the direction of Virginie Mécène, Graham 2 performs Graham’s repertory as well as works of guest choreographers such as Robert Battle, Pascal Rioult, Kun-Yang Lin, Robert Cohan, Darshan Singh Bhuller, Blanca Li, and Adam Barruch. Committed to its education outreach program, Graham 2 performs for more than 3,000 public school children each year. 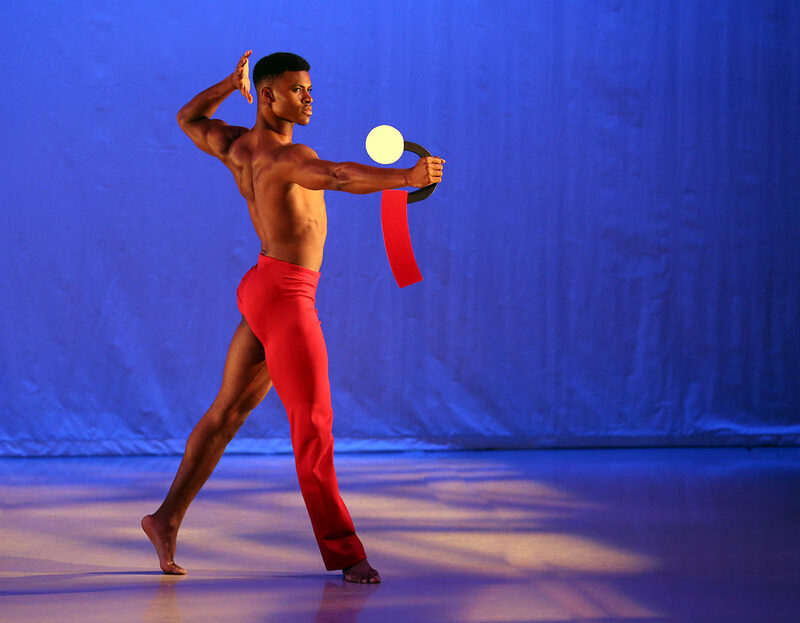 Graham 2 has performed with the Martha Graham Dance Company at New York City Center and The Joyce Theater and has an annual performance season at the Martha Graham Studio Theater. 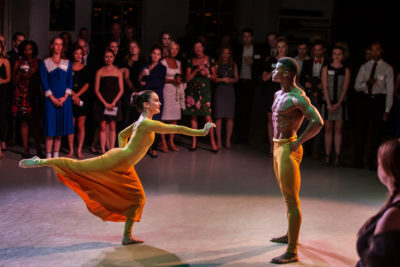 The troupe also has performed at leading New York venues including The 92 Street Y, Manhattan Movement and Arts Center, LaGuardia Community College, Iona College, and other cities such as Miami, FL, Baltimore, MD, Wintergreen, VA, Cherry Hill, NJ, and Barcelona, Spain. Graham 2 was originally created by Yuriko at the request of Martha Graham in 1983 under the name of Martha Graham Ensemble. Audition for Graham 2 on Saturday, June 29th! All Graham 2 Dancers are required to enrolled in a full-time certificate program. For more information and to register for the auditions, click here. GRAHAM 2 brings an exhilarating dance experience to theaters, schools, community centers, and other venues. The performance begins with an introduction of GRAHAM 2 by the Artistic Director, a brief history of Martha Graham, and an overview of the dances to be performed. GRAHAM 2 will then perform works and excerpts from the Martha Graham repertory and of other choreographers who work in the Martha Graham tradition. Following the performance, the audience is treated to a full question / answer session with the Artistic Director, dancers and technical crew. This behind-the-scenes look reveals the preparation required to produce an evening of dance and for dancers to adapt to a new performance venue. The Stage Manager welcomes visitors and explains what happens in a “technical rehearsal,” such as setting lights, sound levels, and all “cues.” The audience will observe the dancers “spacing” the dances and learning entrances and exits. An open “tech” rehearsal includes a complete run-through of the work being rehearsed. The length of this offering depends upon the discretion of the presenter, as actual technical rehearsals run from 1 to 5 hours. The Lecture Demonstration illustrates how a Martha Graham dancer is trained. GRAHAM 2 Director begins with a brief introduction about Martha Graham’s life, philosophy, and her impact on American Modern Dance and the fundamental elements of Ms.Graham’s technique are demonstrated by GRAHAM 2 dancers. The class proceeds from floor work to standing phrases to leaps across the floor and demonstrations of her dramatic falls to the floor. Then, excerpts from dances are presented and briefly commented on by the Artistic Director before each selection. A question and answer session for audience and dancers concludes the program. Lecture / Demonstrations last approximately one hour and can be adjusted to fit available time. Master Classes provide a unique opportunity to explore the principles of the technique of Martha Graham, recognized as the foundation for contemporary dance forms that have followed. The Master Class consists of the three components that make up the Graham Technique Class: Floor Work, Center Work, and Across-the-Floor. The class is designed based upon the age group, skill level, and previous dance experience of the student body. The class may be taught at the Introductory, Intermediate, or Advanced technique level. Master Classes are taught by a faculty member of the Martha Graham School of Contemporary Dance OR BY GRAHAM 2 Artistic Director and demonstrated by members of GRAHAM 2. Each class is 1 1/2 hours in length and can accommodate 30 students based upon the size of the space available. A Master class prior to an open rehearsal can be booked at the School. A Lecture Demonstration followed by a Master Class lasts 2 hours. The three classroom sections of the Master Class are shortened by 10 minutes each, followed by a video presentation of a dance choreographed by Martha Graham. We conclude with a question and answer discussion with the teacher, demonstrator, and students. Total time is 1 hour, 45 minutes.